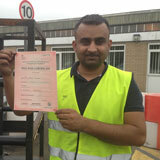 Get trained at GP training in Haringey, London with LGV/ HGV training, PCV training, and driver CPC training. Driving can be a truly exhilarating experience if you enjoy it and have a passion for it. Once you are an experienced driver, try going for a long drive with your family and you will feel the exhilaration like never before. But to experience such out of the world experience, you have to be an expert in driving, and for that, you have to undergo an extensive training program in various quality driving training like LGV/HGV training, PCV training, and the driver CPC training. There is always a high demand in the job of a good professional driver. And if you seriously want to take up the driving for a professional career, you can just walk into the GP training in Haringey, London. There are several training categories in the professional driving training like LGV/HGV training, PCV training and also the driver CPC training. For instance, if you wish to drive the large goods vehicle or the heavy goods vehicle, then you have to undergo an extensive training in the LGV/ HGV category. 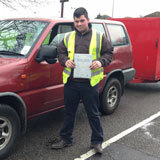 The LGV/HGV training is meant for those vehicles that have weight specifications. This training is particularly for the larger sized goods vehicles and the heavy goods vehicles. This category is specifically for the rigid vehicles only and some of the sub categories are C1 – license are C up to 32 tons, C + E truck and trailer, C1 + E license and C1 + E – 7.5t + trailer. 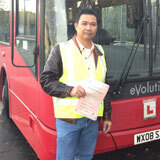 For the PCV training, the requirement is the passenger carrying vehicles. The deciding factors are the number of passengers on the vehicle and whether the vehicles are the articulated ones or not. Some of the categories under this section are D automatic bus, D manual coach, D + E coach & trailer and D1 + E minibus & trailer. 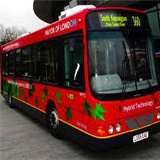 Amongst these, the D1 minibus and the D automatic bus categories are meant for the manually operated vehicles only. 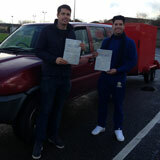 There is also the B+E car and trailer training which is meant for the towing vehicles only. If your vehicle weighs within the maximum authorized mass limits, you need to obtain the B license. If it weighs more than that, you have to apply for the B+E license. 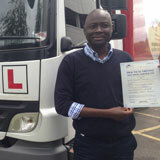 For the driver CPC training, it is an essential requirement for all the professional drivers with LGV/HGV certification. This has been in effect since September 2009. For passing the certification of professional competence training, you must undergo a training program for 35 hours within 5 years. You can also take help from the driver CPC modules and the driver CPC case studies so that you can pass through the CPC theory tests. There are some specific modules that can be of immense help when it comes to passing the initial qualification of the driver CPC training like the driver CPC modules 4 and 2. You must understand that driving entitles you with certain responsibilities about other people walking or passing by on the road. And thus you must ensure that you abide by the traffic rules always. Keeping this factor in mind, we at GP training in Haringey London have designed the driving training course materials in such a manner that there is equal importance of the theoretical rules and the practical lessons. There are some huge advantages of joining GP training in Haringey, London. For instance, you can avail the course materials in the language of your preference. Apart from English, we offer the class room coaching, theory books and also the training instructions in several other languages. The trainers associated with us are also multi lingual and they are also registered and approved by the driver standards agency. The vehicles that we use for the purpose of training are also well equipped with the latest features of dual access controls just to minimize the probability of any mishaps or accidents on the road in the midst of training. 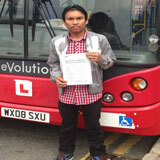 After the training in the professional driving is over, you have to apply for a valid driving license. When you apply for a driving license, you also need to furnish certain documents along with the application. Some such documents are the medical forms and the provisional entitlement form. We provide complete assistance in filling up those forms and also take care about sending them to the concerned authorities of DVLA on your behalf. 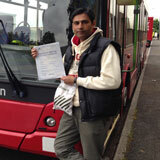 Apart from that, we also offer some special services like the pass protection and the PCV pass protection for you. With the help of these services, if you fail to clear the driving tests at one attempt, you can reappear in them again. You can also get money refund if you happen not to like the training program that you joined originally. There are many other beneficial services that are available with us at GP training in Haringey, London. You must visit us for more details on the same.